Are emails causing you stress both in and out of the office? Are the “pings” of your email or text alerts now an intrusion into your personal and business space and time? A few years ago we would never have read a message nor taken a phone call from a stranger while sitting at a dinner table with friends… but we do now! Have we started to live a life of pecking away at the many inboxes around us, trying to stay afloat by responding and reacting to the latest email, text, tweet and so on? Through our constant 24/7 connectivity to each other we have become increasingly reactive to what comes to us rather than being proactive about what matters most to us. Being totally informed and connected all the time becomes a disadvantage when this mass of information and connections floods and fills any space you might have to think and work. At the beginning of the day, faced with an overflowing inbox, an array of voice messages, and a list of actions from your last meeting, it’s tempting to “clear the decks” before starting “your own work”. When you’re up to date, you tell yourself, it will be easier to focus. The trouble with this approach is it means spending the best part of your day on other people’s priorities. By the time you have that chance to settle down to your own work it could be lunchtime or later and your energy levels have already been drained and your brain is on a go slow. What has changed is that between digital technology and rising complexity in business, there is more information and more requests coming at us, faster and more relentlessly than ever. 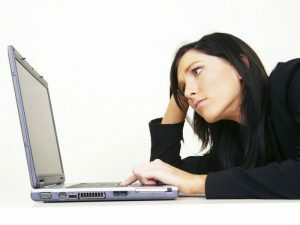 Unlike computers, however, human beings aren’t meant to operate continuously, at high speeds, for long periods of time. We are designed to move between expending and renewing energy. If we progressively burn down our energy reserves throughout the day, and like constantly withdrawing money from a bank account without making any deposits, we will reach a bankrupt situation. In the offices of Microsoft, where the working patterns of a large number of employees were monitored over a two week period, there was a dramatic demonstration of distraction from primary tasks. Not only did responding to messages divert attention for an average of ten minutes but they also tended to use the break in concentration as a chance to cycle through a range of other applications, meaning a further ten to fifteen minutes went by before they finally resumed their primary task. These were average figures so for some people the distraction could go on for an hour or more! Forget about multitasking, double tasking is challenging enough! So what can we do to elevate this email overload and time consuming problem? We can reduce the number of irrelevant and junk emails coming into our inboxes. There has been a great deal of research into best practice and how this can be applied to all kinds of businesses from large corporate to owner/manager small businesses. We can help you explore this. So… Are you controlling your emails or are they controlling you?